Amit Rathore, the designer of the PressCoin ecosystem is on a mission to save the news industry from itself. A serial entrepreneur based in Silicon Valley, Rathore launched a cloud-based multi-channel publishing startup in 2014. The following year, he moved into the Blockchain/crypto space. 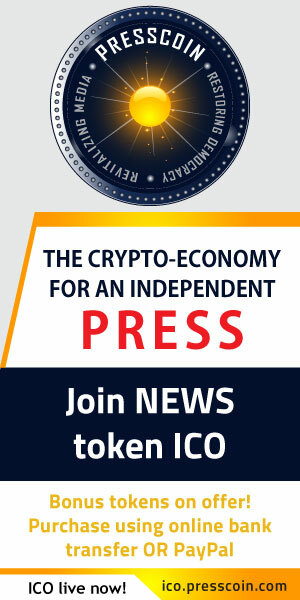 With PressCoin he is bringing these two worlds together to take on the platform giants on behalf of independent news publishers. Amit Rathore Rathore, 37, grew up in Bangalore, India, and arrived stateside aged 22. At school, he was a math/science student. “Dad ensured I went to engineering school, specifically for electrical engineering, not computer science, since he didn’t think it was hard engineering,” he laughs. In 2014 Rathore launched Quintype. In January 2015 he invested in what would become Cointype, a new stealth digital-only Swiss-bank with an ultra-high-frequency fiat/crypto trading platform (featuring full API access and designed for algorithmic trading). CointypeX.com is currently live in early beta. Amit maintains non-controlling, minority stakes in both Quintype and Cointype. Strategic investment between the businesses and PressCoin is a possibility, he says.